This Polaroid OneStep Flash is in great working condition and in great cosmetic condition with a few marks, scuffs, and scratches on the black body. The output unit runs well, the pressure rollers spin freely, the flash works, and the flash indicator light turns green when flash is ready. The original neck strap is well attached, and everything opens and closes easily. Please see photos for more information on the camera's condition. Please note that this camera has been tested is working properly. All of our cameras have been pre-owned and therefore may have some cosmetic imperfections scuﬀs or marks. 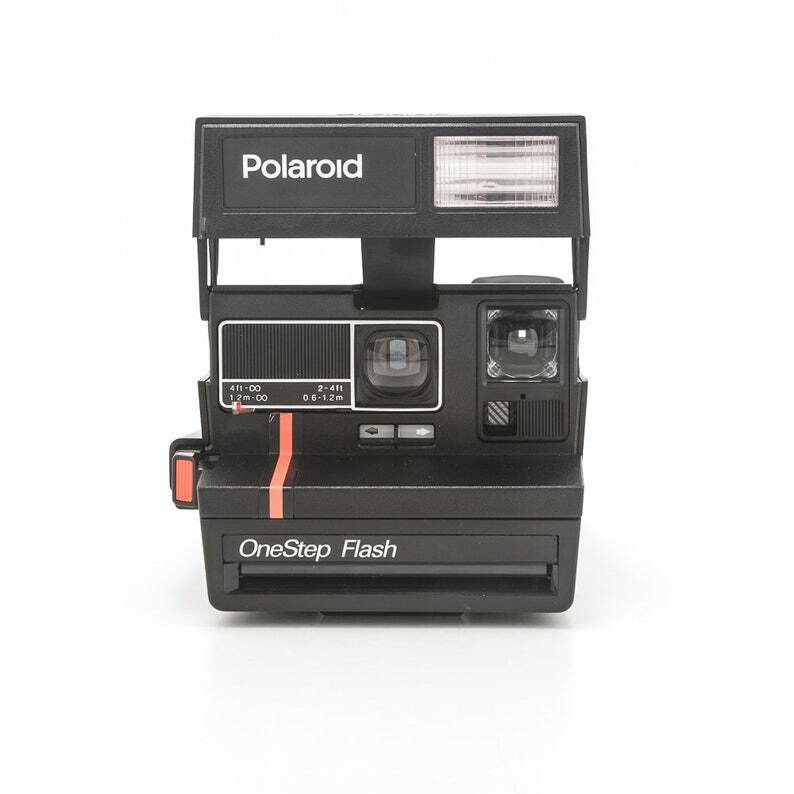 The Polaroid Red Stripe One Step Flash was first released in the early 1990s. It was similar in body style to Polaroid’s Sun 600 series but has a more advanced flash system with automatic charging, and a built-in sliding close-up lens. The Red Stripe One Step Flash has a single-element 116mm plastic lens, fixed focus with a standard minimum focal length of 4 feet (2 feet when close-up lens is in place), electronic shutter, programmed auto-exposure system and a built-in flash. The Red Stripe works with all of Polaroid Originals 600 film.